"Child Sexual Abuse is a form of terrorism against our children. As adults, we owe our children a safe, happy and fulfilling childhood." Every 8 minutes, a child goes missing in India. #ChildSexualAbuse is 1 of the largest crimes against children. Rajeev Chandrasekhar is committed to protecting children. He believes crimes against children are the worst forms of cruelty, especially because they violate the basic trust and care that a child expects from an adult. Concerned over the growing danger of abuse to young children and lack of child safety in India, he has advocated measures to create safe environments for children and for those who have been victimised. Rajeev advocates a three-pronged approach to tackling the malaise of Child Sexual Abuse, through increasing Accountability, bolstering mechanisms for Prevention, and ensuring swifter Prosecution. Consistently drawing attention to the deficient laws on Child Safety, Rajeev made continued interventions in the Parliament, written thought provoking articles in the National media, engaged with State Governments and taken up the cause in the State High Courts. He has highlighted the glaring gaps that exist in the institutional response to Child Sexual Abuse vehemently, and holds that children will remain exposed and vulnerable to sexual assault until the Government commits to a roadmap to ensure the safety of our children. As a Member of Parliament from Bengaluru, which has seen several incidents of sexual assaults perpetrated against children, Rajeev has pushed relentlessly for Governments – State and Central, police and judiciary to adopt a zero tolerance approach towards crimes against children. Under his Protect Our Children initiative, Rajeev seeks to ensure institutional responses to Child Sexual Abuse and the wider issue of Child Rights and Child Safety. In December 2015 Rajeev initiated the National Coalition to Protect Our Children - a civil society group - to help the government frame a policy that will ensure safety and well-being of children. Rajeev regularly engages with diverse stakeholders-parents, students, teachers, counsellors, school managements etc. 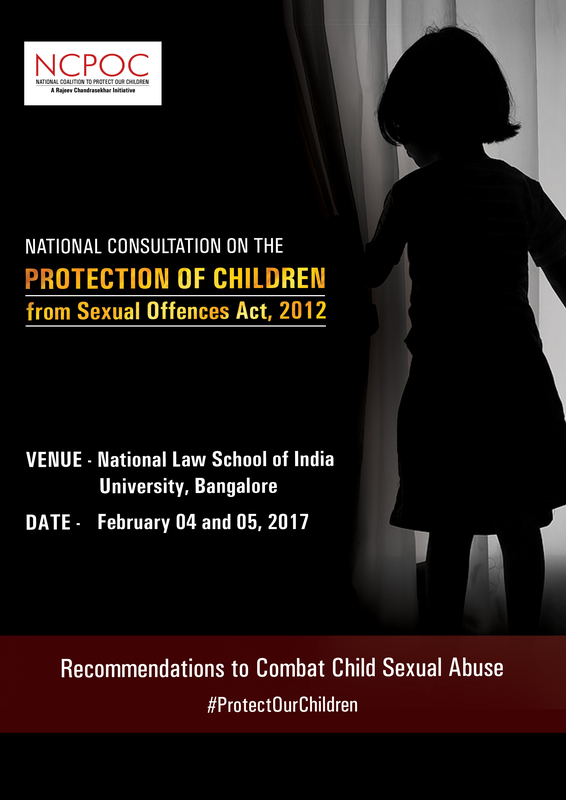 apart from academics, legal experts in deliberations to ensure a more proactive approach to child safety.